Tanja Ebert murder and how she came to Australia from Germany. Tanja Ebert went backpacking at 18. Five years on, she's at the heart of a murder probe. 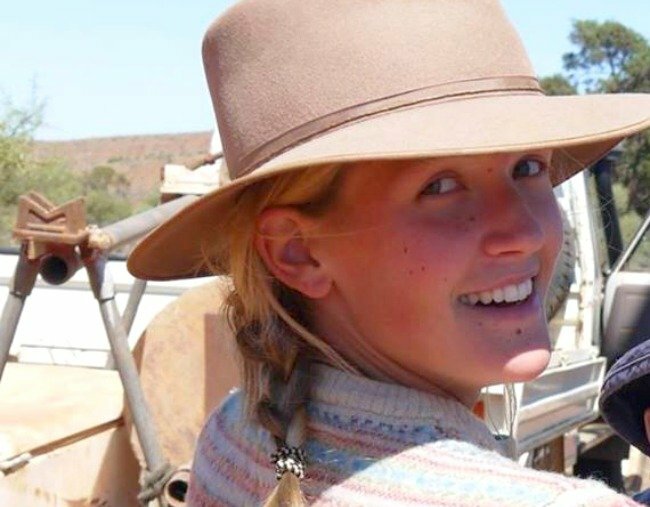 At the age of just 18, a young, blonde, German woman named Tanja Ebert made a trek halfway across the world to Australia, a land far removed – and far away – from her own. She had found herself embarking on what has come to be a universal kind of rite of passage, a bridge between adolescence and adulthood, a first world method of navigating exactly who you are, and the kind of person you’re looking to become. But as Ebert landed in Australia as a teenager, she fell – almost immediately – into adulthood and simultaneously in love. As News Corp reports, she was working in a local pub to fund her travels; his name was Michael Burdon, he was 18 years her senior, and he was a farmer from the far corners of the land far away. She found herself in Mannahill, almost 360km north-east of Adelaide, a tiny, isolated, squint-and-you’ll-miss-it dot on a map of our country, nestled in the top right-hand corner of South Australia. Mannahill wasn’t, and isn’t, the kind of place you’re likely to find someone like Tanja Ebert. Ebert, who no doubt crossed the seas bustling with the energy characteristic of a teenager with a backpack on both shoulders and adventure and opportunity written into the blueprint of the year in front of her. Mannahill, a settlement town, is home to little over 60 people. Burdon, the one who “courted” her for some time, worked on his family’s isolated 400 sq km sheep station. The property sits between endless stretches of empty no-mans land, with visitors needing to travel about 22km on a dusty, red, private road as a means of reaching the homestead. In five years, Tanja would have a husband, whom she married this passing February. She would also have two beautiful sons, aged three and one, rooting her in a country she intended to visit only as a teenager. Five years after landing in Australia, Tanja Ebert&apos;s name and face would be populating headlines of news outlets across the country missing, believed to be murdered. She was just 23. “In the absence of anything to indicate that Tanja is alive, we’re treating it as a murder investigation,” Detective Superintendent Des Bray said in a press conference on Wednesday, according to Fairfax. On August 8 at about 3pm, CCTV footage obtained by police shows Tanja Ebert at the SA Museum with her husband, Michael Burdon, and their two children. Four hours later, as they made the trek back from Adelaide to their property, police say the family stopped at a BP service station in Roseworthy, where the father-of-two bought drinks for his family. Just 1.5km north of the service station, Mr Burdon told police his young wife “became agitated” as the couple argued. She got out of the car, he said, walking off on their young family. He did not wait and continued driving to the family farm. She had no possessions, no passport, purse and phone. It took nearly two days for an unnamed relative - who wasn&apos;t Mr Burdon - to report the 23-year-old missing. Eight days later, after facing extensive questioning from police and detectives who were investigating the whereabouts of Ms Ebert, Mr Burdon shot himself as his young sons and police roamed the property. Mr Burdon did not survive. In a press conference, 7 News reports Detective Superintendent Bray admitted Ms Ebert had "expressed unhappiness in her married life", and had previously spoken about leaving the farm and moving to NSW. She is still missing, her husband is dead, and two toddlers are now left without a mother and a father. Among the heavy question marks and a distinct desperation for answers, there&apos;s little that&apos;s concrete about the mysterious disappearance of Tanja Ebert. She has made no contact with friends or left any posts on social media that would indicate she was still alive. Of all that&apos;s unknown, we do know there are two, tiny, bright-eyed children going to bed without their mother. The mother who once shared those same bright eyes and bristling energy, the one who transformed from young backpacker to young mum among dusty plains and few people. The young mum, who, in coming over to experience the vast freedom travel allows, wound up in an isolated town, in an isolated country, experiencing anything but the vastness of the freedom she sought.